Q. 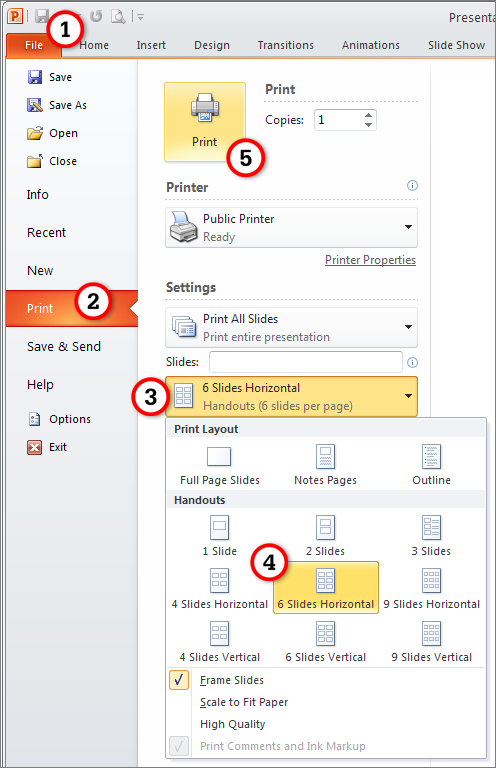 How do I print a PowerPoint presentation so that there's more than one slide per page? Under the File menu, click Print. Under Settings, click Full Page Slides. Change Full Page Slides to 6 Slides Horizontal. Click the big Print button.